After an amputation, prosthesis users want to be sure that they can continue to lead independent lives and experience a largely natural gait, even with their lower limb prosthesis. Decades of development experience at Ottobock and intensive networking with users and technicians have resulted in a lower limb prosthesis system with a unique combination of functionality, workmanship and intuitive use that sets new standards: an intelligent knee joint called the Genium, which independently recognises when flexion is required and when to bear weight at rest. 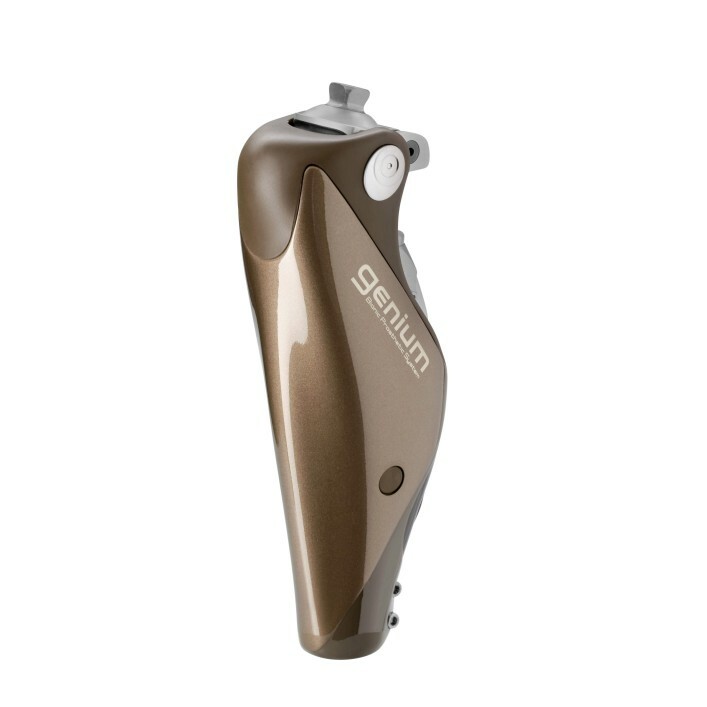 The Genium knee joint is the first to virtually duplicate your natural gait, protecting the back and locomotor system. It also offers improved wearer comfort and the simplification of numerous activities of daily life. The innovative knee joint distinguishes itself with the ability to stand and climb stairs naturally, as well as crossing obstacles while reducing the risk of tripping and falling. Your orthopaedic technician will be happy to advise you regarding your personal requirements.